Sunshine bore down on the Circuit de Barcelona-Catalunya for the seventh round of 2018 MotoGP and Bradley Smith was the quickest Red Bull KTM racer to register the 17th fastest lap-time in qualification for the 24 lap sprint tomorrow. MotoGP travelled to the rapid and demanding layout that is the Circuit de Barcelona-Catalunya and with fresh parameters of newly laid asphalt and a revised configuration. Temperatures soared to almost thirty degrees and pushed grip and traction to a premium. 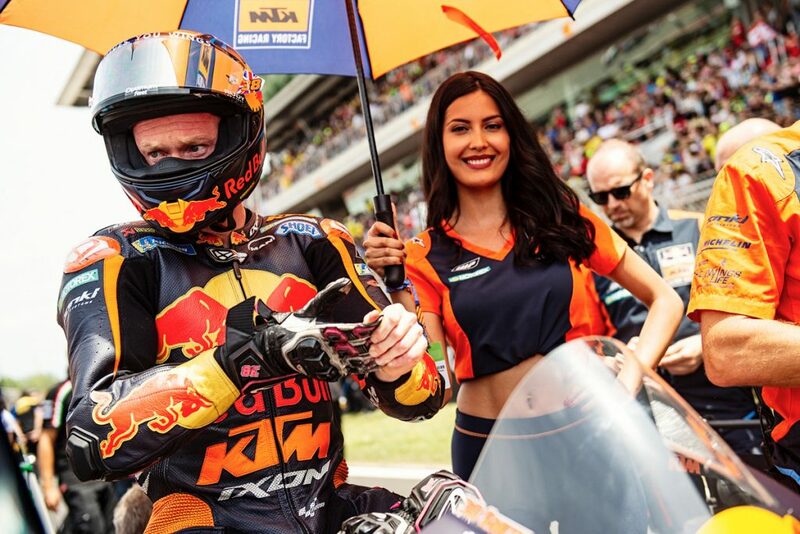 Bradley Smith, competing at the event where a crash led to a ghoulish finger injury twelve months previously, worked diligently on the set-up of the KTM RC16, and through the Q1 period was less than a second from making into the Q2 cut-off point. The Brit focused on refining the balance between feel and necessary modifications to prolong tyre wear for Sunday. Pol Espargaro, born almost in the shadow of the vast circuit grandstand and the town of Granollers, had a frustrating day. #44 looked to improve his confidence through some of the long Catalan turns but some mistakes during the short qualification phase meant he could do no better than 19th; still just over 1.5 seconds from Jorge Lorenzo’s pole effort. Mika Kallio made his second wild-card appearance of 2018 and with the next generation prototype of the RC16. The Finn circulated on the boundaries of the top ten through Free Practice on Friday but further experimentation with race set-up today – coupled with some misjudgement in Q1 – pushed the former GP winner to the last row. Red Bull KTM Ajo’s Brad Binder will set off from the second row of the grid after securing 5th place this afternoon on his KTM Moto2 bike. Teammate Miguel Oliveira was further down the order in 17th but less than a second from the pole sitter. Scotland’s John McPhee, riding the CIP – Green Power KTM RC250 GP, took 7th position in the Moto3 qualification and is less than half a second away from the Pole laptime set by Enea Bastianini.